Last weekend while at Brandcation: DESTINation … I fell in love. Growing up on the Gulf Coast has given me the opportunity to do a LOT of water sports – from skiing to surfing to parasailing. 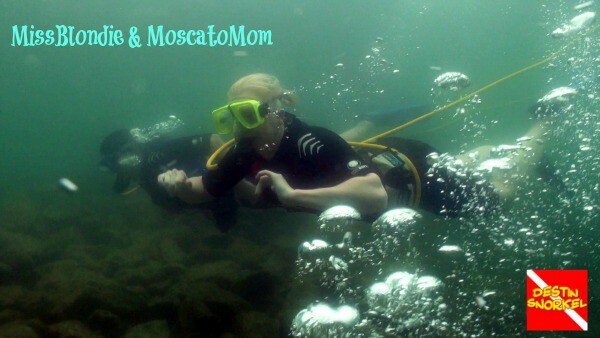 But this weekend I found what I truly want to do – scuba dive. 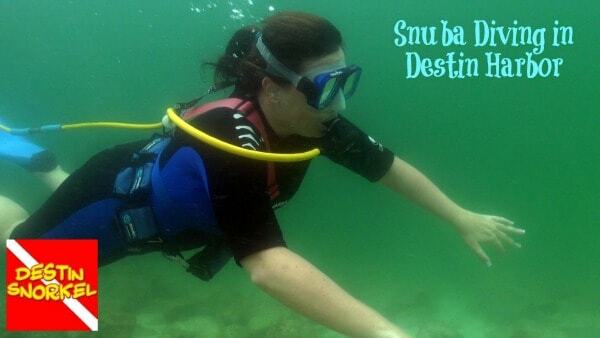 Now, Snuba Diving is a little bit different than SCUBA diving. When you Snuba, instead of carrying your own tank on your back, you are actually attached to a raft which carries two tanks – enough air for you and up to three of your friends. Your airline is about 20 feet long – so plenty long to let you get to the bottom of the inlet, with the security of knowing you can not drift too far away from safety. And, since you have a certified diving instructor going with you, you do not have to be certified yourself to dive. My group included myself, Nicole (MissBlondie.com) and TerriAnn (CookiesAndClogs.com). It took me a little while to get comfortable breathing only from my mouth under water. The first regulator I had was a little tough to breathe (damn being a former smoker) but I changed to a smaller one and was just fine. The water was freezing, so thankfully we had wetsuits on. Once I got comfortable in the water – it was on. I fell in love the minute I started playing with the fish. Actual photos from our dive! We had the best dive instructor too – he was so incredibly patient – I know we drove him completely crazy. His name is Ty and I totally recommend going with him – especially if it is your first dive. He’s really great about making sure you are ok under water, and finds cool stuff to look at. We spent a half an hour petting fish, chasing flounder, and playing with hermit crabs. It was awesome. We did a lot of really awesome things in Destin, but this one was by far my favorite. I am already ready to go back and dive in. In fact I am already looking at getting scuba certified – goodness knows I need a hobby…. you know, for all of my spare time. 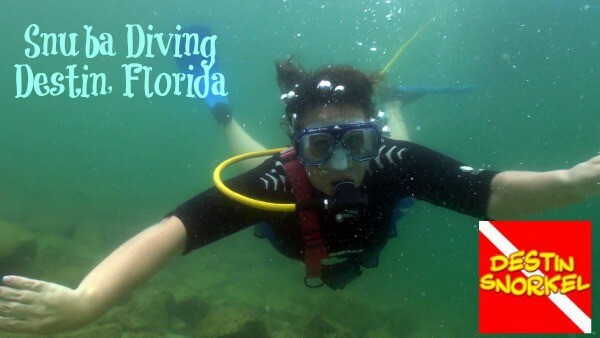 Thank you so much to Destin Snorkel for hosting all of us and a special thank you to Ty who was so patient and let me really get comfortable under there that I think I have found a new hobby. Also thanks to Gregg Velez from Diving Deep, LLC for all of the amazing underwater pictures and video. My parents always said I should have been born with fins… this is the closest I can get. Disclosure: The cost of this trip was comped but all opinions are my own. « Thank You DESTINation Sponsors!!! Looks like so much fun!!! I really want to do that too. How far out do you go?? That looks like SO MUCH FUN (and I hate water in my face!)!!! Did you take down a waterproof camera or did they take the pictures? That looks like so much fun! I love water and so does my kids! I bet this would be a great activity! Thanks for sharing! Wow this looks like so much fun, I would love loved to have been there. Wow Lynsey that looks amazing!! It looks like it would be easier to get used to than dragging around the tank. LOVE it!!! Looks so fun! This looks like so much fun. I love to snorkel, so to be able to go down further with the safety of the tether would just be awesome. 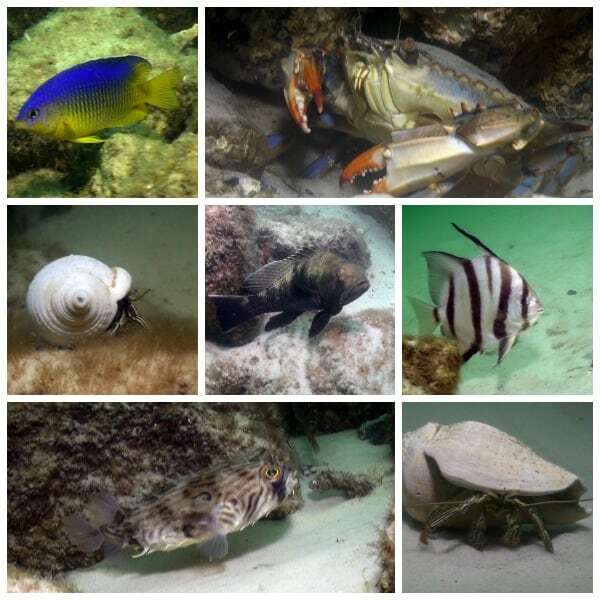 I love your photos, the sealife is just beautiful. I SO wish I could have been there with you. Water sports like that are one of the things that I can do. Can’t wait to read more about Destin. This looks like fun. It’s on my bucket list because I’ve never tried snorkeling! How neat, I love your photos! My fiance and I went scuba diving for the first time in October – we had a lesson in an indoor pool. I had a really bad cold that made it really hard to breathe, but I still had a lot of fun. I think this would be great for me because the idea of going too deep in the water kind of unnerves me – I get a little claustrophobic, I guess? So it would be great to know that I couldn’t go “Too deep”, and man not having the air tank on your back would save a lot of weight! This was SO much fun!!! Even if i did panic a couple times. Not sure I could Scuba dive but maybe with some training, I could. WOW HOW FUN!!! Even better that you got good pics of all this! That’s amazing. Oh how cool is that? I have never heard of “snuba”, sounds really cool! I only went scuba diving one time in the Keys.. it was a lot of fun.. but I have to admit I was SOOO scared and paranoid the whole time.. I was the last one to get in the water! That’s awesome! I would love to try it! That looks like so much fun! I would love to snuba. That is about the coolest thing ever. I have got to do that within the next few years. It’s like a dream activity! What a fun trip! I’ve not heard of snuba diving. It sounds like an option I could handle instead of scuba. I love these photos!! I also would love to try scuba diving! Definitely adding this to my list of “must try” things to do! Looks like you had tons of fun! I laughed reading your post. Fun! Fun! Fun!! This is on my bucket list but thanks to your post it definitely looks like Snuba diving is way better than Scuba diving considering no tanks need to be carried around! Very, very fun!!! The pictures are beautiful! Wow, that looks fun. 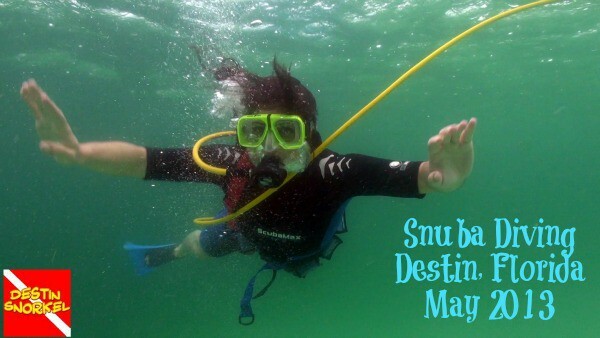 I’ve never heard of SNUBA diving – we may have to give it a try sometime.